Golf Headquarters has been one of St. Charles’s largest golf retailers since opening in 1987. With 2,500 square feet of brand name golf clubs, bags, appeal, shoes, accessories, gifts and instruction Golf Headquarters offers everything you need to improve your game. Ranked in the top 25 pro shops in Golf Range Magazine for service and knowledge, Golf Headquarters is devoted to providing the best service, and equipment possible all at the best price. For all of your equipment needs, Golf Headquarters is fully stocked and has professionals on staff available to help fit you. The driving range at Golf Headquarters features covered and heated tee stations, along with a variety of natural grass and matted hitting areas. 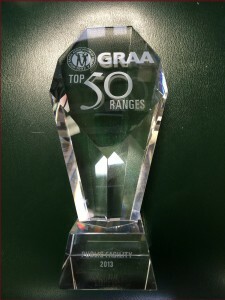 Voted one of the Top 100 Ranges in America in 2006 by Golf Range Magazine, Golf Headquarters Family GolfPlex is the only year ‘round practice facility, in the area. Of the 30 tee stations, 11 are covered and heated by individual 30,000 BTU heaters. The hitting stations allow you to improve your skills, by firing at several raised target greens. Laser-measured from 65 to 240 yards, the targets replicate actual course conditions to help you perfect your game. The putting green is always well maintained and free of charge.